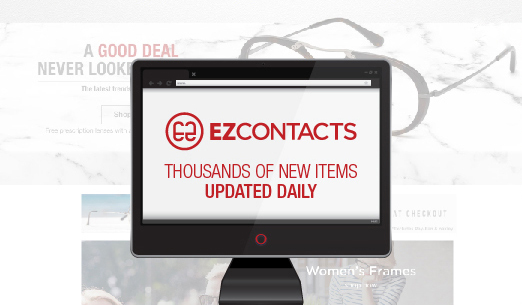 EZContacts.com is proud to be able to offer you the lowest prices on brand name contact lenses, eyeglasses and sunglasses, and we are constantly looking for ways to save our customers even more money. We now offer a 105% Price Guarantee, so you can be positive that you're getting the best prices on the web. If You Find The Exact Same Product On Another Website For Less, We'll Refund You The Difference PLUS An Additional 5%! Our Customer Service representative will verify the lower price and check that it meets with our Terms & Conditions listed below. If it does, we will refund you 105% of the difference to the credit card used when purchasing your product(s)! Lowest price guarantee applies to contact lenses, eyeglasses and sunglasses only. Claims must be made within 24 Hours of purchase from EZContactsUSA. Price comparison must be for the exact same product and must be current. The company shall have full customer service including a Phone Number with a live person taking calls so that we can verify it. Website must be a US based company. Lowest price guarantee is based on the total price (this includes any shipping charges, taxes or other charges that may apply). Lowest price guarantee only applies to online retailers and excludes membership clubs, marketplaces, and closeouts. No additional offers or discounts may be applied to lowest priced guaranteed products. This offer is subject to expire without notice and is non-transferable. Price match amount cannot be redeemed for cash. Void where prohibited by law. Promotions may not apply to international orders.